Schwartz & Wade Books, 9780375857652, 40pp. Oh, no--Beaver is lost Will he ever find his way back home? 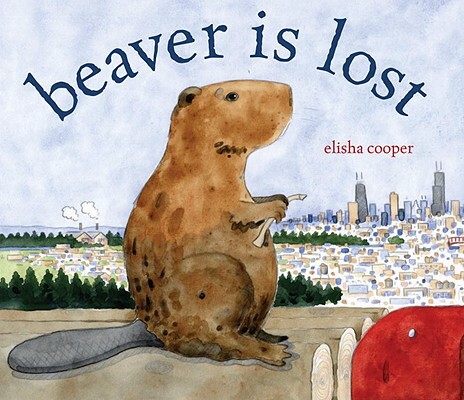 In this nearly wordless picture book by Elisha Cooper, winner of a "New York Times" Best Illustrated Children's Book award, a young beaver is accidentally separated from his family. Follow Beaver as he's chased by a dog, visits a zoo, and even finds himself in the middle of a busy city street. In the vein of beloved classics like "Flotsam" and "Good Night, Gorilla, " this book is the perfect gift for future graphic novel enthusiasts. With luminous pencil-and-watercolor illustrations by an artist whose work the "New York Times" has called "simple and quiet and essentially perfect," "Beaver Is Lost" is sure to delight animal lovers everywhere. Elisha Cooper is the author of "Dance!, " a "New York Times" Best Illustrated Children's Book, "Beach, A Good Night Walk, Magic Thinks Big, " and other picture books. He has also written "Crawling: A Father's First Year, " a memoir for adults, and "Ridiculous/hilarious/terrible/cool: A Year in an American High School, " a book for young adults. He lives in New York City with his wife and their two daughters. Learn more about him at www.elishacooper.com.